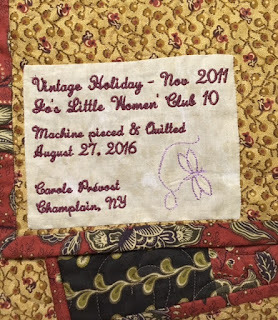 Quilting Adventures: Label it .... you own it...! Congratulations on finishing one UFO at least and they are mighty fine labels, so I think that is a good distraction! "You're a better man than I am Gunga Din!" 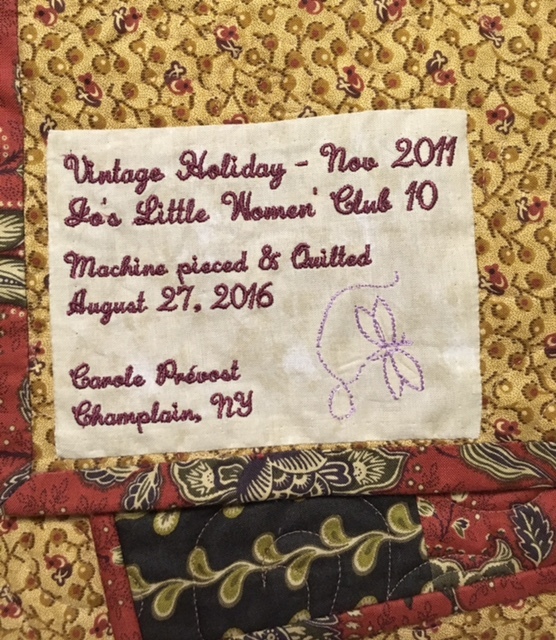 So many of my quilts have escaped me over the years without labels. Congratulations of another project crossed off the UFO list! 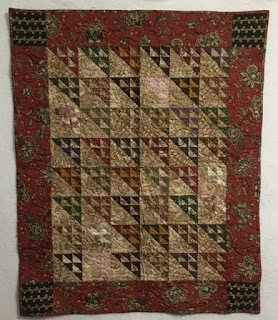 I also having quilting ADHD, but good job with your finish! You're too funny! Congrats on your drive to organize and finish your UFOs. I really need to do that -- after I finish the baby quilt and then ... haha, how on earth will I ever uncover all of them??? Really, I've been thinking about my own mortality too and it really worries me that the kids will have to deal with all this fabric! Must. Make. More. Quilts -- which wouldn't even put a dent in the stash!!! 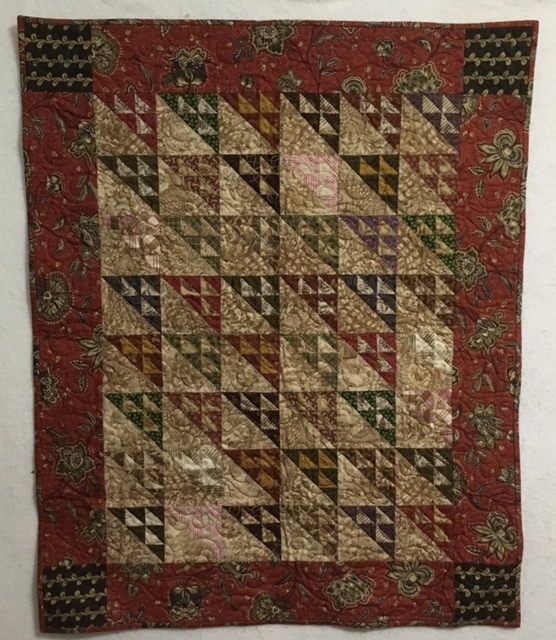 Love the quilt and the fabrics. I need to figure out how to use my machine to make labels. I have an embroidery machine and then I got the quilter and the store closed, so I have to figure it all out on my own. I know I understood it when I first got the machine, so I am sure if I reread the book, I can figure it out, but nice to be able to customize them.